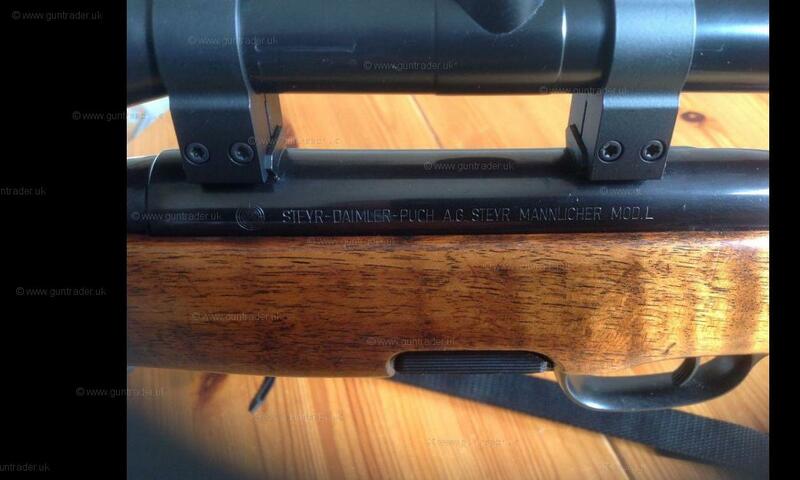 Steyr Mannlicher Model L, 22-250 cal, Moderator ASE Ultra Compact .30 275A, Schmidt Bender 8X56 Klassick. Harris Bipod, 5 shot rotary magazine. 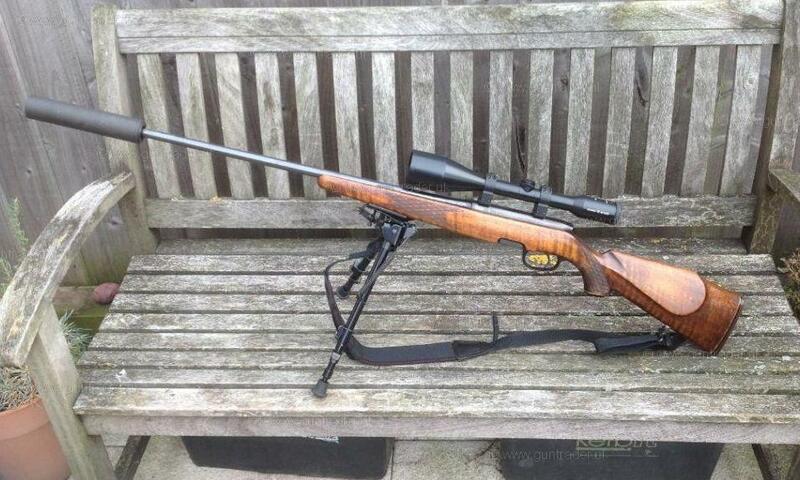 This rifle is extremely accurate, ideal for vermin control and Roe deer stalking if based in Scotland. 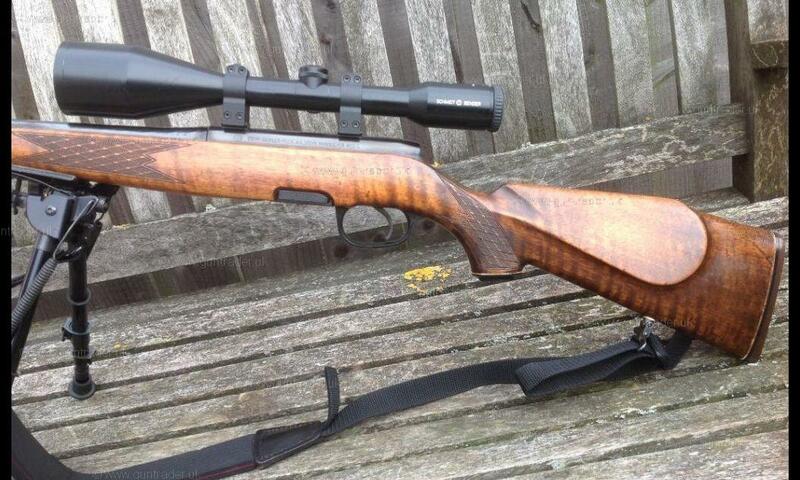 The rifle has had little use, fabulous grained stock, all in excellent condition for a used rifle.